This is my favorite project from the Big Shot Class on Friday. 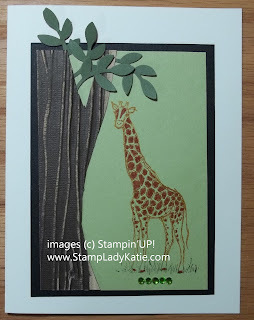 The featured product used on this card was the Wood Grain Embossing Folder. The folder puts the lines in the paper - the ridges on the tree trunk. If you're wondering about the color variations on the tree its because the tree was made from the new Core'dinations paper. This paper has a white core which shows through when the paper is distressed. We used a sanding block to remove the brown color from the ridges after embossing. The shape of the tree was cut by free hand. The giraffe is from a stamp set called Zoo Review. He was stamped in More Mustard and colored in Cajun Craze. 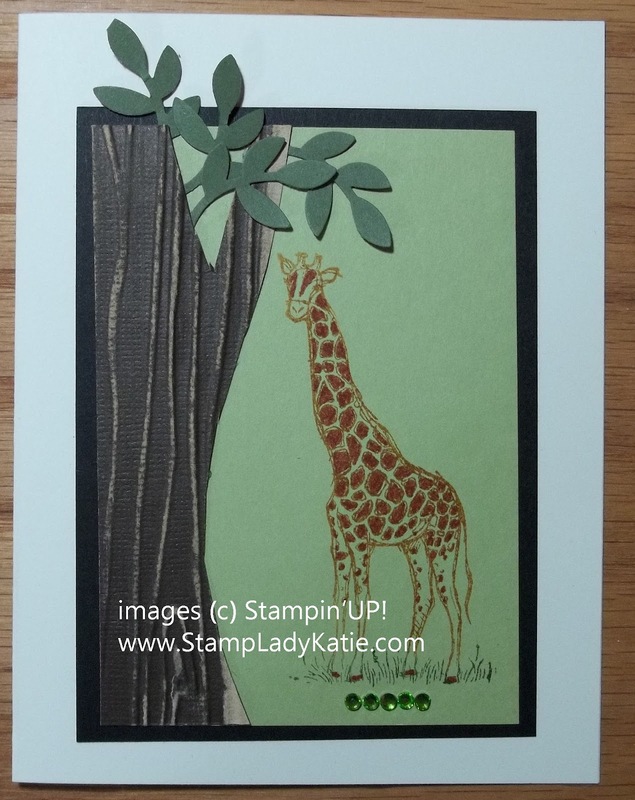 STAMPING TIP #1: Here's a little trick about stamping the giraffe. 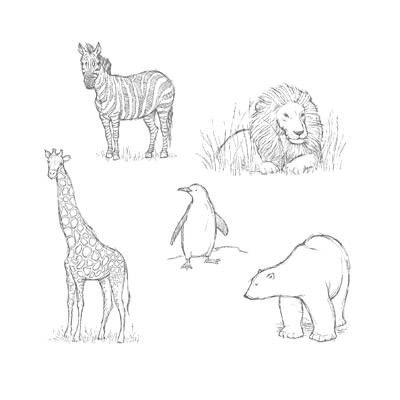 If you look closely at the image from the stamp set you'll see the one stamp has both the giraffe and the grass at his feet. I wanted them to be in different colors on my paper. So I colored them with markers directly on the stamp, rather than inking with an ink pad. STAMPING TIP #2: Color your Rhinestones. The rhinestones under the grass ARE Stampin'UP! 's self-stick basic jewels. Did you know they can be colored with a Sharpie marker? Check out this example too.